Join us Saturday April 5th from 9am-5pm for a great price on a new bike for the coming summer! 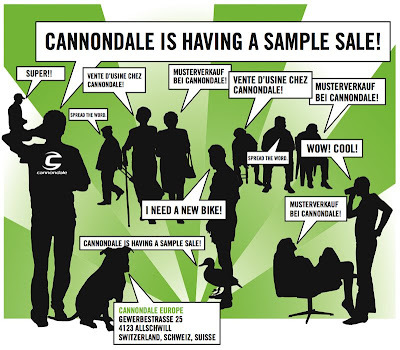 We will have new and used mountain and road bike samples as well as clothing from the 2005-2008 model years. Prices will be 40-70% off of normal retail price and will range from 500 to 5000 CHF. Please note all sales are final and all sales are Cash only. Swiss Francs and Euros are accepted.